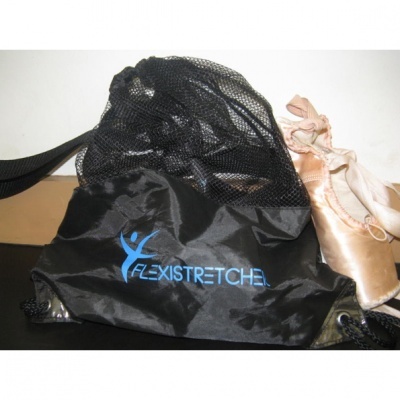 Designed specifically to carry and protect Flexistretcher stretching aid. • Mesh material allows contents to "breathe" and stay dry. • Attractive Flexistretcher logo imprinted on front.